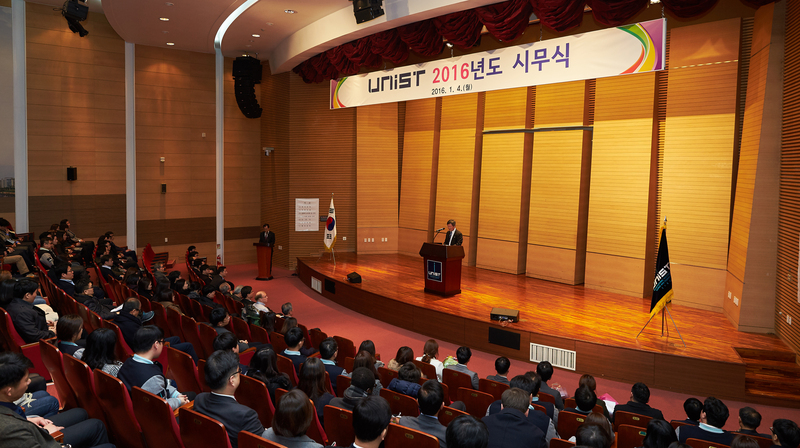 The New Year Kick Off Meeting was held in the auditorium, UNIST KyungDong Hall to celebrate the start of 2016. 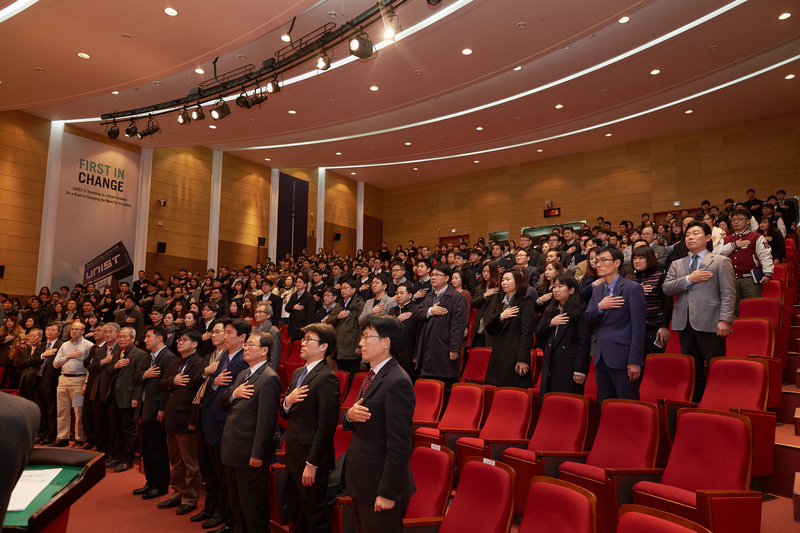 On Monday, January 4, President Mooyoung Jung extended his new year’s greetings to all faculty members and executive members of UNIST, assembled in the auditorium at UNIST Kyungdong Hall. At the event, Jae Sung Lee, the Vice President of Academic Affairs delivered the New Year’s message on behalf of President Mooyoung Jung.